In Flack this week: The time a journalist was kidnapped by PRs, floating big thing down the Thames news, comic reflections on GDPR, and Iain Anderson - in cake form. 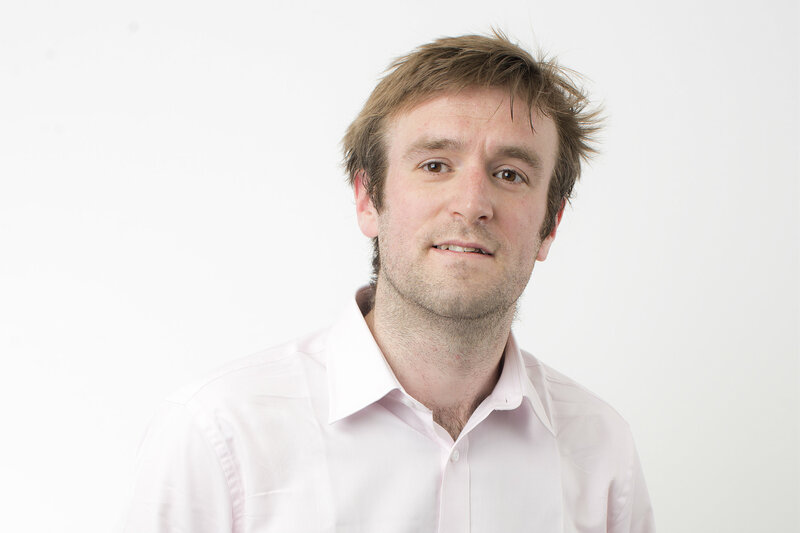 Times journalist Tom Whipple (below) stirred up debate this week for his criticism of Amazon’s press office. "I used to deal with the Tamil Tiger press office, and they kidnapped me," Whipple revealed, adding: "Amazon are worse." In a fascinating and illuminating email to PRWeek, Whipple elaborated on his experience with the press team of the Tamil Tigers, which, for the uninitiated, was a militant group that fought for a separate Tamil state in Sri Lanka. "Yes, there was the minor issue of the kidnapping," the journo acknowledged. "But they were always pleasant, brought me tea, chatted about the cricket and once they’d verified my credentials, let me go. Despite being in a literal warzone, unlike Amazon they never treated me like an enemy combatant. "Thank god Amazon press office also don’t have their own private militia... yet." Welcome to GDPR day, when the new data protection rules come into play. As if you needed reminding. The irony of GDPR. They put in place rules to stop a flood of unsolicited emails and what do we get? Staying with GDPR, and Say Communications is marking the new regulations with the release of a GDPR playlist. It features series of (vaguely) related songs, including Regulate by Warren G., Age of Consent by New Order and Don’t You (Forget About Me) by Simple Minds. You can see the list here - enjoy. There was a bit of a hoo-ha this week after a dinosaur was spotted on a barge on the Thames as part of a promotion for the new Jurassic Park movie - Jurassic World: Fallen Kingdom. The stunt had its haters online, decrying the hackneyed nature of the ‘float it down the Thames’ trope. The annual release of PRWeek's 30 Under 30 list means the annual, inevitable teasing (or shows of jealousy) in which the new cohort's friend and colleagues show mock or real surprise at it being proved that they still have yet to hit the big 3-0. Of course, as Ogilvy's Georgina Purdy will now know better than anyone on the list, you'll never be too old to have your mum be all embarrassing. Another reason for fond ribbing of a 30U30 nominee is their former career. If you think that AxiCom's Maria Arbalova looks familiar from somewhere, it may be because the former stock photo model has, without you even knowing it, featured in a campaign you have run in the past.